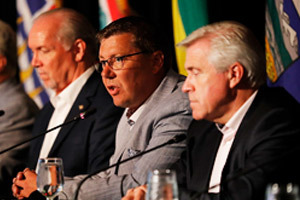 Canada’s Premiers discussed the importance of infrastructure to job creation and economic growth. Reliable, resilient infrastructure boosts productivity, supports strong communities, protects public safety, helps manage congestion, and facilitates getting goods to market. 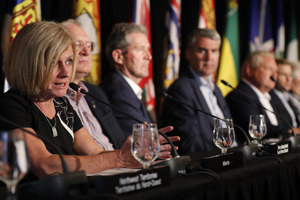 Premiers agreed on the need for an overall increase in federal infrastructure investments, including adequately funding the national disaster mitigation program. Federal funding must be reliable, adequate and predictable, and allow provinces and territories to determine their own priorities rather than funding on a project-by-project approach. 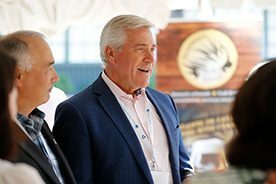 Premiers reviewed work of the Fiscal Arrangements Working Group – Infrastructure Sub-Group over the past year Chaired by Premier Wynne, including the COF Infrastructure Summit. 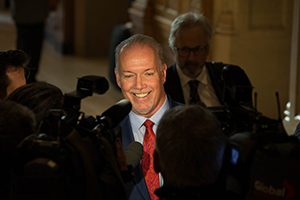 Premiers noted the significant level of investment being made by provinces and territories, which is roughly 2 per cent of GDP. 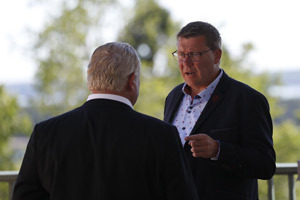 Canada’s Premiers also discussed the importance of direct federal investments in infrastructure in areas of federal jurisdiction, such as improving drinking water for remote First Nations communities.